Emiliano Tenerelli was born in Cagliari, April 28, 1965. He grew up in Verona, where he moved with his family at the age of 4 cause of his father's job, father who transferred him his passion for fishing (trout and carp in ponds, chub in Garda Lake ). 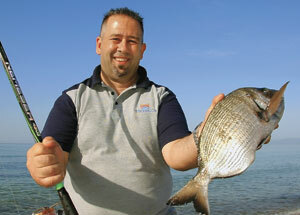 At the age of 25 he moved back to his beloved homeland Sardinia, homeland of Mediterranean surfcasting too. Together with his best friend Andrea he started to explore and enjoy the legendary beaches of Sardinia. Here he met some anglers who advised him to join a surfcasting team and to train for competitive fishing. In 1997 Emiliano started to dedicate all his time to competition that became soon a great passion: from the beginning he showed to be a true champion reaching heights of absolute importance. 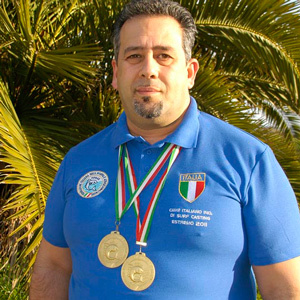 In 2005 he graduated vice world champion with the Italian national team, getting two individual first round places. 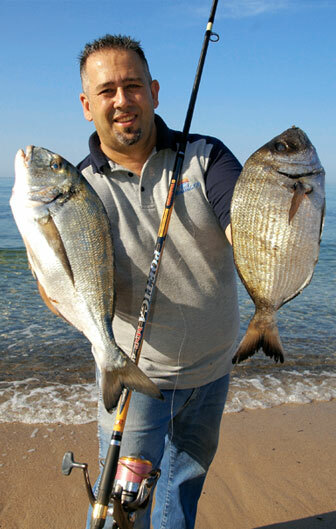 In many competitions his performances, both individual and team, made him one of the best known surfcasting anglers on the Italian scene. From 1997 to date Emiliano is showing to become better and better constantly, winning 46 trophies and as many titles gaining an outstanding experience, both professional and technical.